Conrail’s days as the operator of the Clinton Branch from Lenawee Junction to Clinton, Michigan were coming to a close at the beginning of 1982. 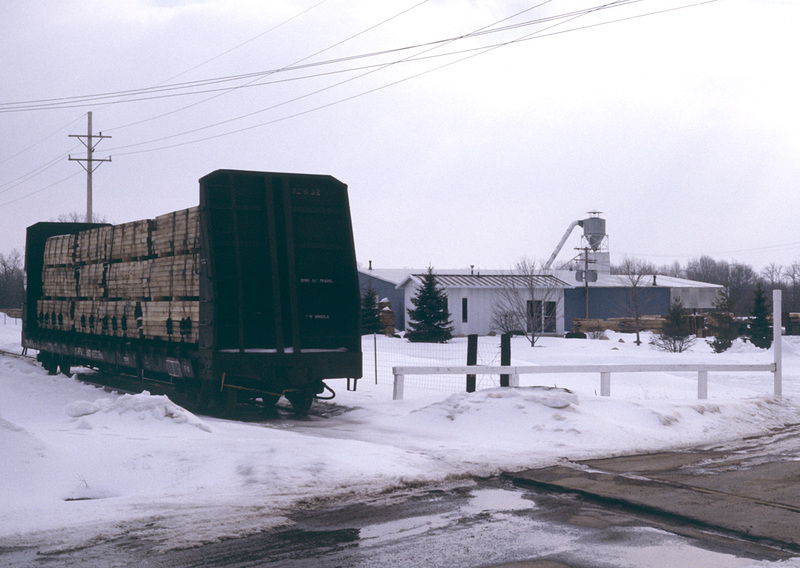 The company had already applied to abandon the line, and the only active shippers remaining were in Clinton: Tri-County Logging (Hardwoods of Michigan) and Pallox Corporation. A Conrail local would operate on an as-needed basis from Air Line Yard in Toledo to Clinton and return. 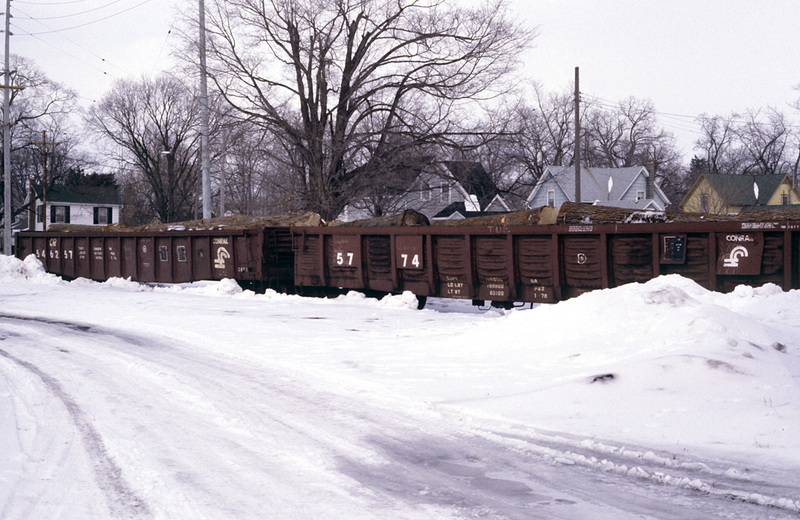 The cold, snowy-and-icy winter of 1981–2 was taking its toll, and derailments were frequent. On 07 March 1982, photographer Edward Hodges visited Clinton and photographed some newly-delivered freight waiting to be unloaded. By the middle of the same month, the last Conrail local will have run to Clinton, and freight service will be ended forever.